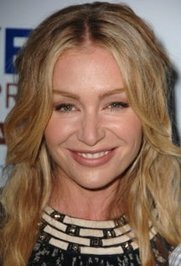 Portia Lee James DeGeneres, known professionally as Portia de Rossi, is an Australian actress, best known for her roles as lawyer Nelle Porter on the television series Ally McBeal and Lindsay Bluth Fünke on the sitcom Arrested Development. She also portrayed Veronica Palmer on the ABC sitcom Better Off Ted. Portia is married to Ellen Degeneres. Is this you? Let us know. If not, help out and invite Portia to Goodreads.